Racial preferences in college admissions will come before the U.S. Supreme Court yet again. 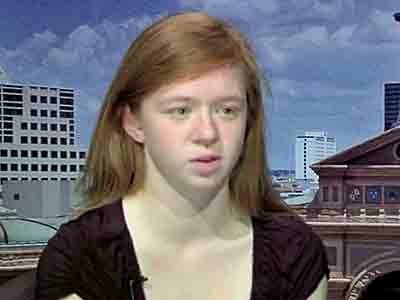 Abigail Fisher, who is now 25 years old (let it go already, kid) is suing again and arguing that her rejection from UT Austin, back in 2008, and the school’s use of racial preferences, violates her rights. On Friday, the American Council on Education filed a brief on behalf of itself and 37 other college groups, a who’s who of groups that represent presidents, various parts of academe (Educause and the National Collegiate Athletic Association, for example), accreditors (such as the Southern Association of Colleges and Schools), and faculty groups (the American Anthropological Association and the American Association of University Professors). A similar brief will be filed today on behalf of four groups that are involved in the admissions process: the American Association of Collegiate Registrars and Admissions Officers, the College Board, the Law School Admission Council, and the National Association for College Admission Counseling. Both the ACE-coordinated brief and the admissions groups’ brief focus more on the right of colleges to set their own admissions standards than on issues of race. The (arguably most) controversial aspect of affirmative action is the argument that at this point racial preferences for historically disadvantaged minorities might not be necessary anymore. Fisher says that the University of Texas’s practice of admitting anyone from the top 10 percent of every high school class in the state already does a perfectly good job creating racial diversity on campus. That would be in 2028. So how are we doing? Well, the colleges are arguing that doesn’t matter. We do not have some official device to objectively measure changes in racial discrimination. Their argument is simpler: let us decide who to put in our schools. This is a different argument from one maintaining that racial diversity polices are good and useful, though perhaps they are. This suggests merely that affirmative action in admissions is useful for the same reason setting SAT limits and admitting and rejecting students based on activities and legacy status: because the standards for admission are ambiguous, and always have been, and it’s always been more or less up to the schools to decide who gets in. That is perhaps a compelling argument. It’s true; they’ve always had incredible power in terms of deciding who gets to study there, but under this argument the O’Connor standard has no meaning. Affirmative action never has to end. Because there are always going to be student populations a university is more interested in attracting than others.